This has got to be the tastiest soup I've made/eaten evverrrr. I have completely made this recipe up, so feel free to tweak it as you see fit. First, peel your butternut squash. Then, chop of the top and bottom ends and cut down the middle (longways). You need to then scoop out the seeds. Once you've taken all the seeds out, chop the squash into cubes. 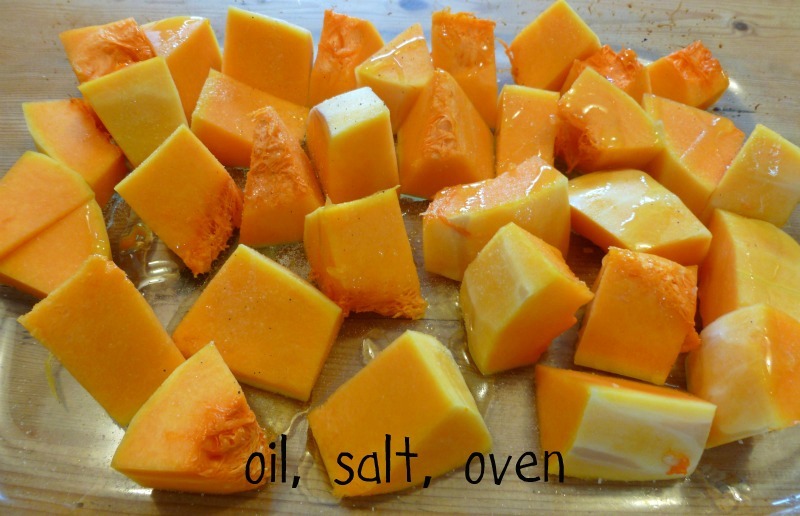 Cover with a little olive oil and rock salt, and roast in the oven for about 40 minutes. 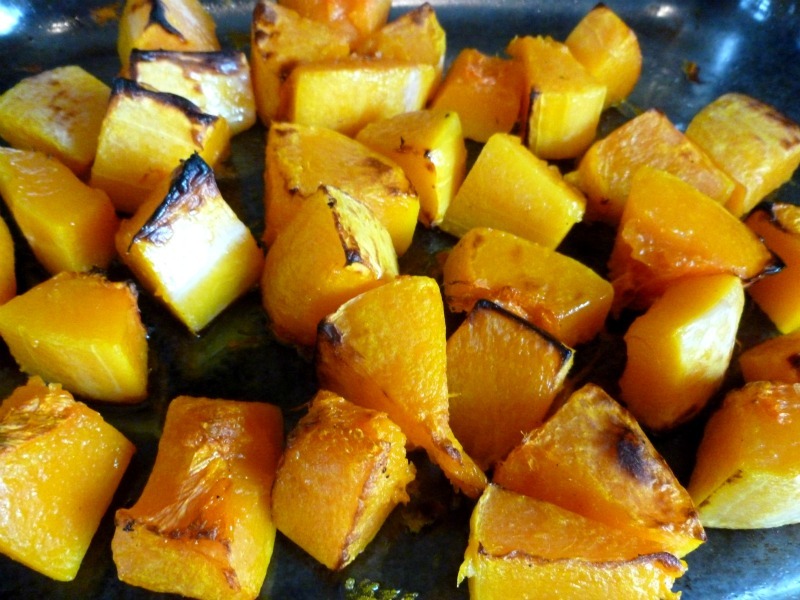 Note: you don't have to roast the butternut squash but it takes a lot nicer if you do. You can substitute olive oil for fry-light if you wish, or don't use oil at all. 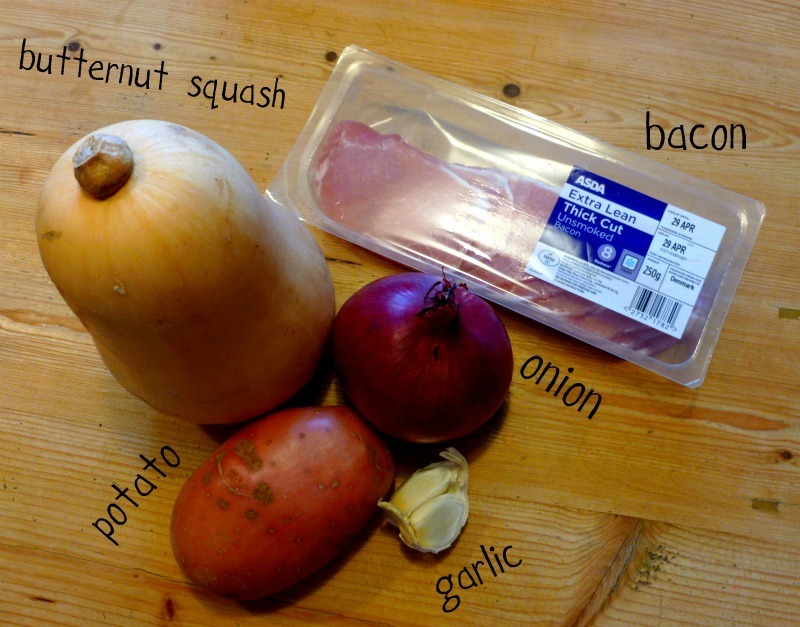 While your butternut squash is in the oven, you should chop your onion and bacon. You can use as many or as few bacon rashers as you like, I usually use about 3. I've used unsmoked bacon but I guess smoked would give even better flavour. 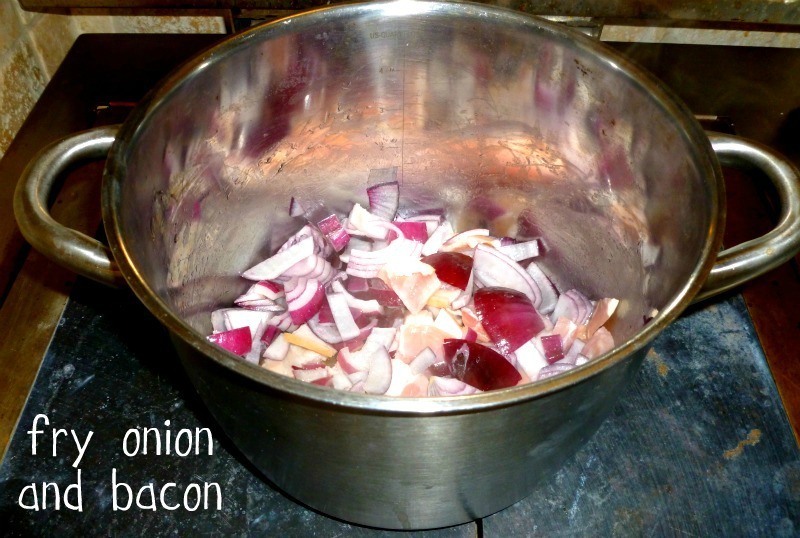 Fry the onion and bacon together. 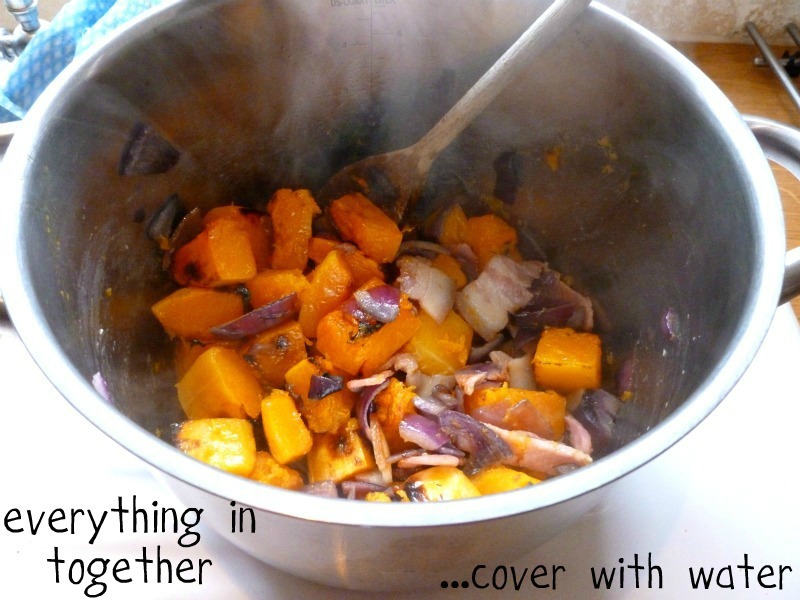 When your butternut squash is done, take it out of the oven and add it to the onion and bacon. Peel and cube a potato and add it, as well as your garlic. If you are lazy, like me, use garlic puree instead of 'real' garlic. You don't have to use a potato but it helps to thicken it. When everything is in together, cover with water. This will give you a moderately thick soup. If you would like it more liquidy, add more water. Add a stock cube if you wish. If you haven't added a potato, you wont need as much water. Bring to the boil and leave to simmer for about half an hour or longer. Take off the heat, leave to cool slightly before blending with a hand blender. I like this particular soup nice and smooth, with no chunks. Serve with a little cream/crème fraiche and enjoy! 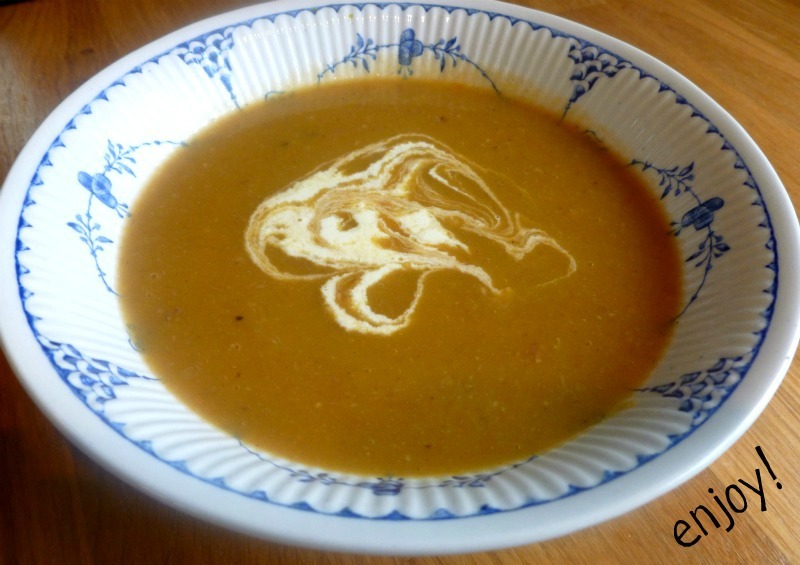 Have you made this soup? What did you think?